► Fall 2017 Schedule: We have heard from many of you that course sections have been cancelled and that some NTTs who are not on continuing appointments have not been reappointed for the fall. We have also heard that courses needed for majors have been cancelled in the summer. We have asked the Administration for the number of sections that have been cut and the number of NTTs who have not been reappointed. We were told that this information will be forthcoming. In the meantime, let us know if this has occurred in your department and if the sections cancelled are required for your major, are always full or wait-listed, etc. ► At last week’s bargaining update meeting, many faculty members expressed an interest in being more involved in the bargaining process and starting an organizing campaign. (For a recent update, click here). 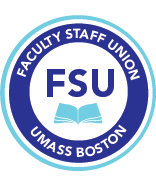 We are holding a follow-up meeting this Wednesday at 12 noon in Wheatley, 5th floor, room 41 where we will strategize about ways to support bargaining. ►Hold the date: Wednesday, April 12, 9 am, Campus Center Ballroom. Protest the reduction of education at UMB resulting from reduced classes and department budgets. We will update you when we have more information. ► Click here for the latest update on transferring from ORP to the State pension system (MSERS) including an update for members who are retiring and have transferred from ORP to MSERS but still have funds in the TIAA Traditional Account.